Ladies, storms are a reality of life for us, our friends, our family, our neighbors…everyone. How we face those storms can mean the difference between a life of victory and defeat, and can set the stage for God’s plan to become reality in our life. 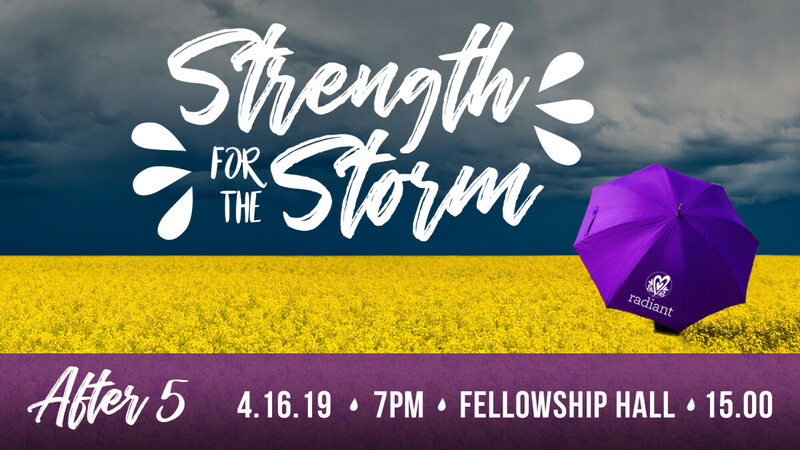 Don’t miss hearing speaker and author, Mary Southerland, share about “Strength for the Storm” at this year’s Radiant After 5 event on Tuesday, April 16 at 7pm in the Fellowship Hall. Tickets are $15 and available beginning Sunday, February 17 in the Fountain Foyer or online beginning February 21.